The OPW 241TPS provides two-plane swiveling rotation for easy nozzle positioning and reduced hose wear. 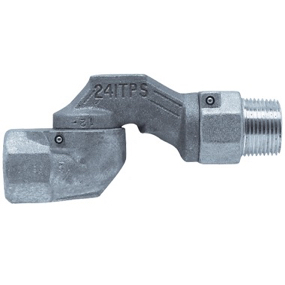 The OPW 241TPS swivel is designed for applications where easy nozzle and hose handling is important for customer convenience. The OPW 241TPS is installed between the nozzle and hose to reduce customer strain, provide flexibility and reduce premature hose wear. Size 3/4 X 3/4.